[tweetmeme]I’ve followed a few fantastic series recently on blogs I ready religiously. Three of them I wanted to share here, but as one is not yet complete, I’m going to start with the first two (will add the other when it’s done). Both deal with the subject of social media and give some great advice on how to do it well. The first series is from @mattsingley entitled “6 things you need to know about running a social media program”. These are less tactical, more advisory and contain some great points. You can find his blog here. The second is from @ambercadabra on “Practical Social Media Measurement”. Now I’m a big fan of this lady, she knows her stuff. 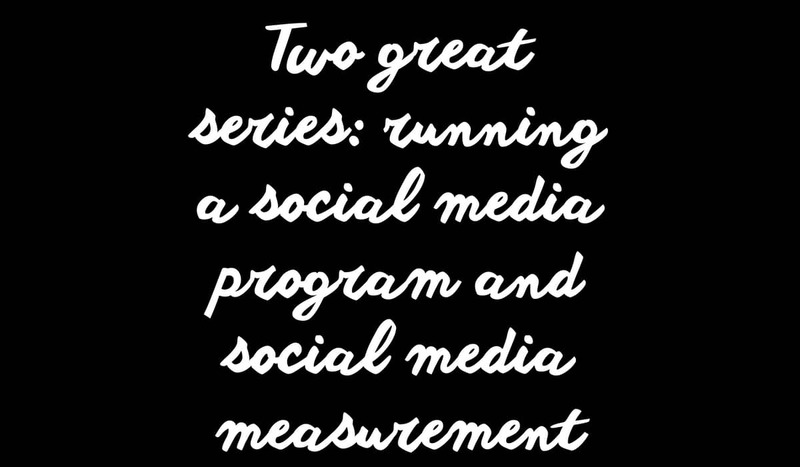 This series is full of great advice on the tricky area of social media measurement. Amber’s blog can be found here. I hope you found them useful. I’ll be sure to share more as I find them. I saw this last week and intended to comment..but then got dragged into some sort of marketing debacle 😛 Many thanks for including my posts here, I really appreciate it. You’ve got an amazing blog, I’m hooked!